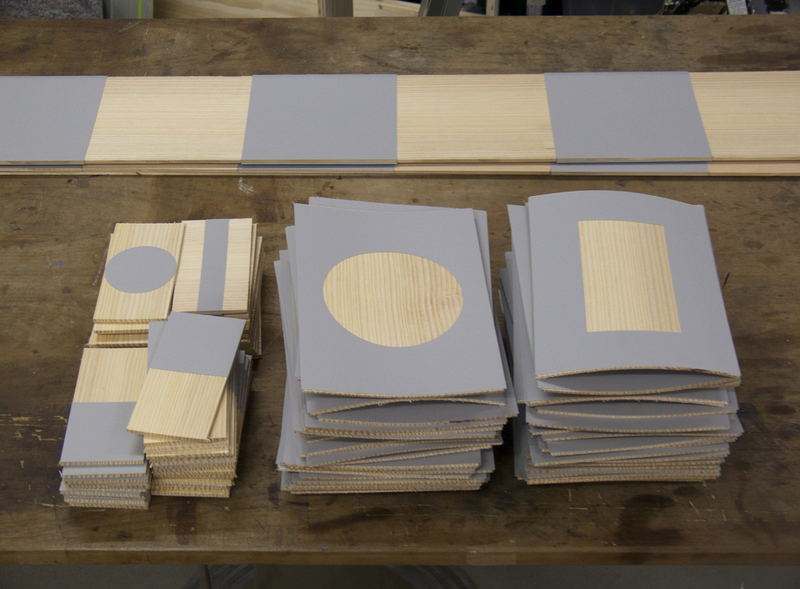 As we are swiftly approaching the launch date of Diptych at Object Rotterdam at the beginning of February, we've been very busy developing and producing the products we're planning to present. 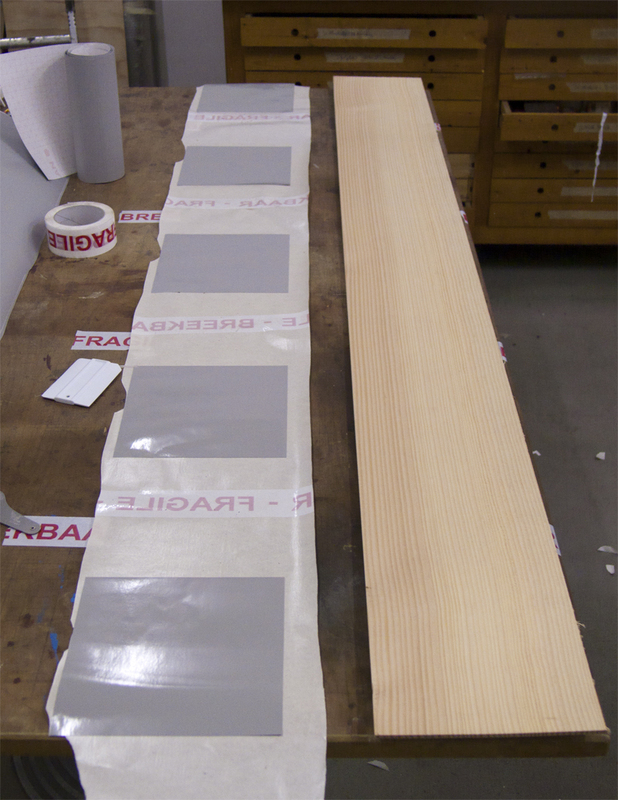 As you can see in this photo, some of our material has still managed to bend while drying at Lex' studio. Last Thursday was the day we did the majority of the sandblasting. 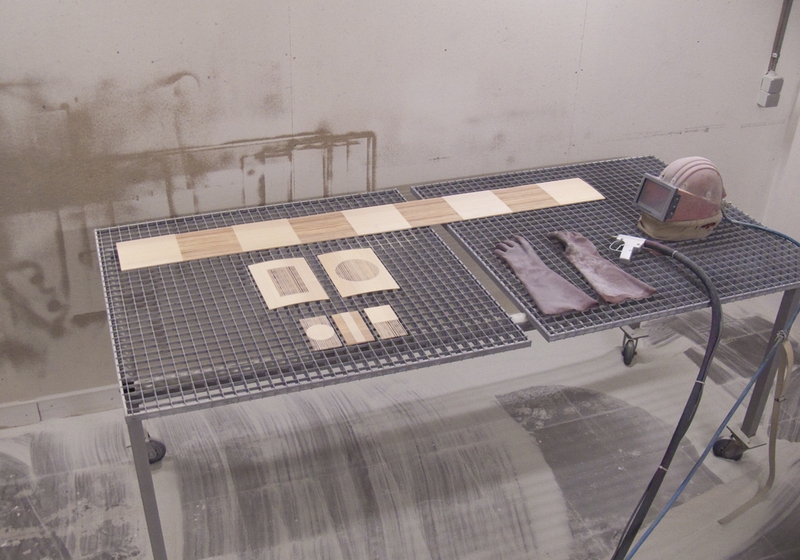 After drying at Theo's wood workshop for a couple of weeks, we drove the wood to Lex' studio to dry a little longer. Despite processing our material by quarter sawing – a technique that was supposed to take away most of the tension – the wood still had managed to bend in this environment. We hope that by sandblasting, which removes a large part of the material, we could still take this tension away and make the wood bend back by itself. Lex sandblasting one of the totems. Another thing that worried us a little was the fact that all our tests and prototypes were done using a slightly different type of wood than the wood we would be working with during this session. 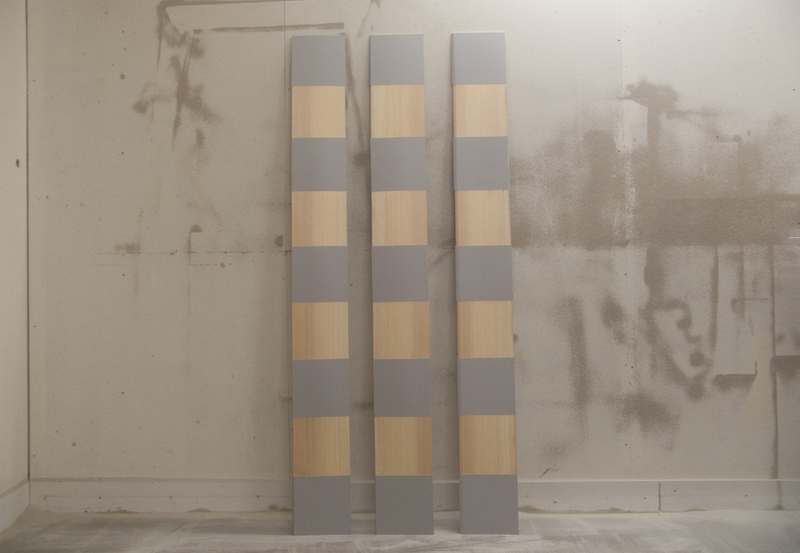 It was still somewhat of a surprise how our material would react to the sandblasting. From all three different objects – totem, a set of combs and poster – the poster is the least difficult to produce. 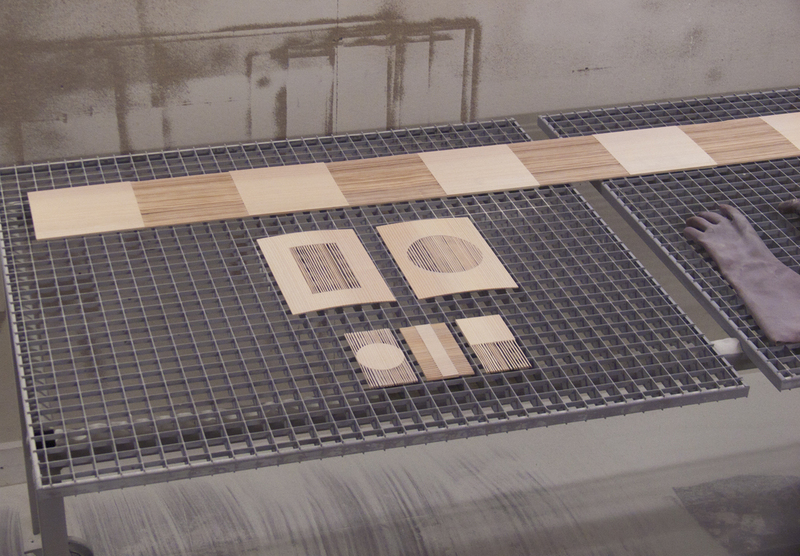 As it is the thinnest piece of wood, it only has to be sandblasted one-sidedly. The comb and totem are made out of thicker material and therefore need to be sandblasted on both the back- and frontside: a more laborious and risky process. Luckily, everything went according to plan this time and the objects turned out as beautiful as we had hoped they would. We will now look for ways to perfect and polish the woods surface. More on that next week.